October and November fishing report For naples and Marco island WHAT A MONTH! Well, October showed off again. 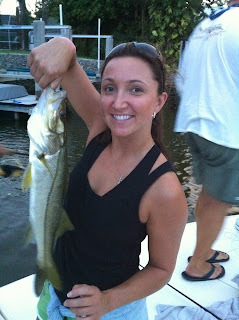 The question I was asking my anglers was,( what would you like to catch and how would you like to catch them)? Here is the laundry list of fish we caught in October: Snook, Tarpon, Redfish, Snapper, Trout, Flounder, Grouper, Trippletail, Spanish Mackerel, Bluefish, False Albacore, Cobia, Sharks, Ok is that enough? Well throw in about 10 more species and you see what I am getting at about the great fishing we have in October. It is surprising that more people really do not take advantage of it. The other nice thing about October fishing is that it is much cooler and not so unbearably hot. Well anyhow here is how we caught them. Lets start with the False Albacore and the offshore fish. Cast master Spoons and long Shank Flies that look like silversides were the key for most of the offshore fish. Grouper and Snapper on yellow Jigs tipped with cut Squid. The last week of October the tripletail started showing up on the trap lines 2 miles out of Marco. 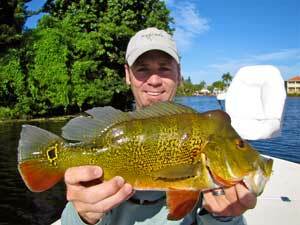 Inshore species could be found everywhere from the Passes all the way to the farthest Back country creeks. We caught them on poppers, top water plugs, Jerk baits and Muddler Flies. It was awesome fishing. That doesn’t even include the awesome night fishing. I had more night slams this year in October than any other. Trout, Redfish, Snook and Tarpon were on the lights this month. 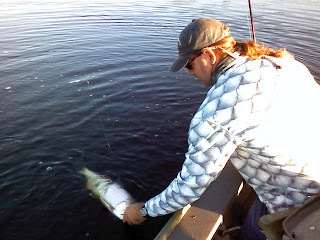 Mostly fished on flies and the fly of choice was a Polafibre Minnow with a Tan back color. They ate them up. 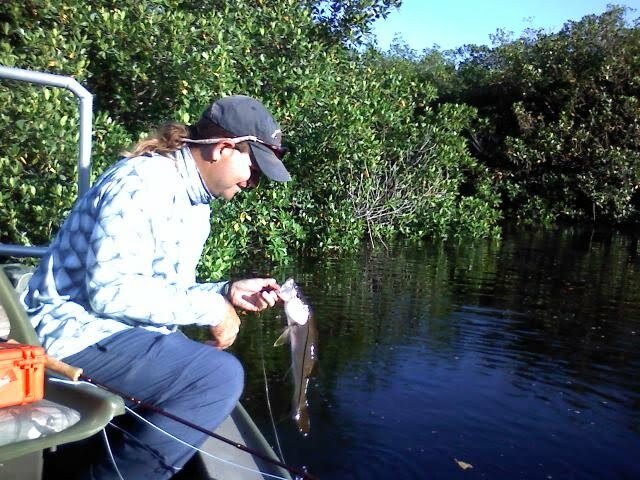 Even the Bass in the Everglades are starting to pick up the pace, fished Interceptor caught 30 on poppers and small shrimp flies. Small Peacocks are starting in the GGC also. I can not say anymore, I wish more people would take advantage of our October fishing. A smattering of Pics from October. 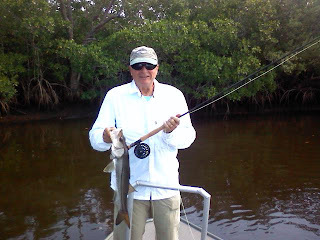 Jack Allen Popper Fishing for Snook, Ken deep in the glades fishing the new TFO BVK Fly Rod, I cannot believe how light and powerful they are. If you are looking for the new rods from TFO Contact me at info@indianpassoutfitters.com Last but not least one of my favorite species on fly the False Albacore and Rich. November is now on out doorstep and we should see cooler temps and cooler fishing. I would expect the summer species to start to slow down a little and our winter species to pick up the pace. The ladyfish, and mackerel will start moving inside along with Pompano and Trout. 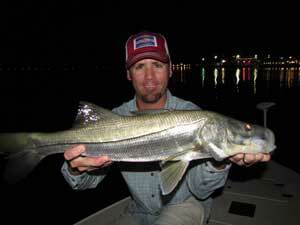 Snook and Tarpon will slow just a bit but still will be plentiful usually into December. Start looking a little more to the back country creeks this month, and the lights will get better. Still will have plenty in the passes until the water temps dip into the low 70’s. Redfish will start to school on all the flats from the Everglades to Pine Island Sound. 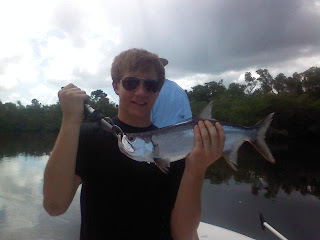 We were catching extreme amounts of small ones which if they hang around should make for a good Redfish season. I have been catching most of my reds on an Rz Sparkle Shrimp or Kwan type fly. 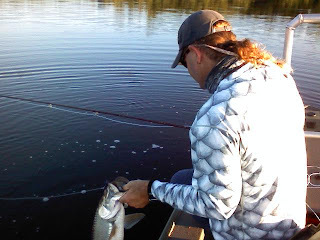 The other species that will start coming on strong is Sheepshead, they are quite the target on a fly, I like small crab type patterns like a Bonefish Bitters. 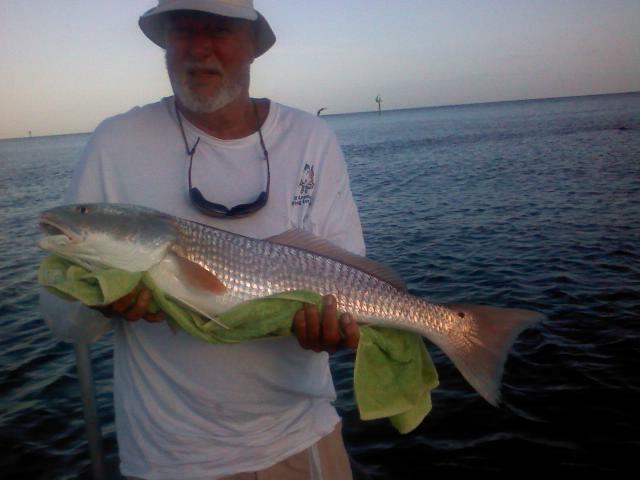 Look for schools on the flats along with Redfish. Tarpon will slow a bit but I had pretty goof fishing for them all the way into December last year. If freshwater is what you want, this is the month for the GGC and the Canals across I75. Go get them they should be hitting on top early and on the bottom after about ten in the morning. Well good luck and I hope all have a great Thanksgiving this year. Roan z. 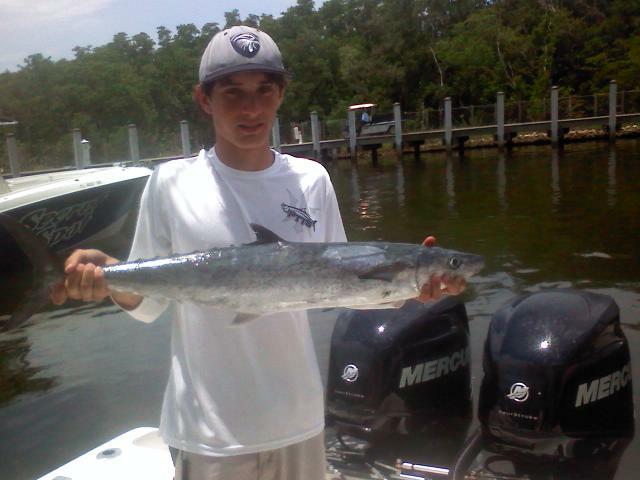 Nice Kingfish caught near shore to Naples. 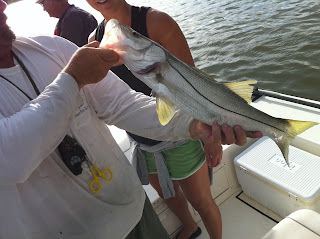 Great fishing for most of the month of July and it looks like it is continuing directly into August. 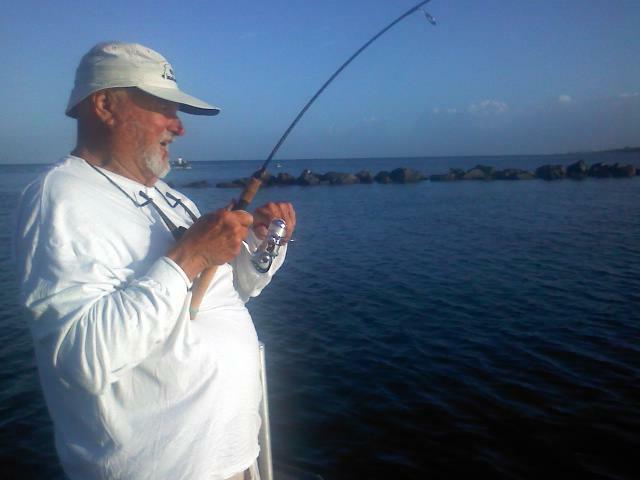 Bonnie was a bust fishing resumes as normal in the Naples and Marco waters. 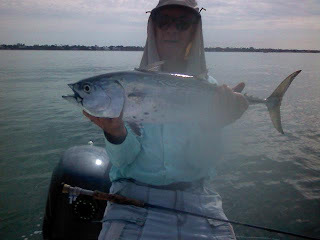 July fishing was very good inshore, offshore, Bait, Fly and pretty much whatever you wanted to do. Lets hope August stays the same it looks good so far. 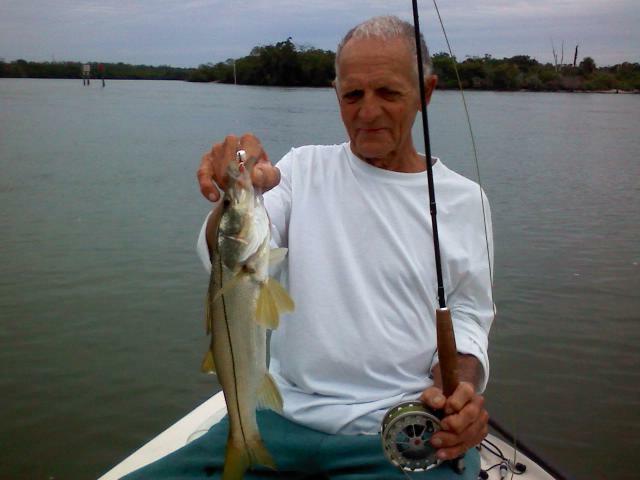 Snook fishing was very good on both bait and fly most of the month. The fish were pretty much everywhere, from the passes all the way to the back country. Great numbers of fish along with some big one’s were in or around all the passes from Cax to Wiggins. 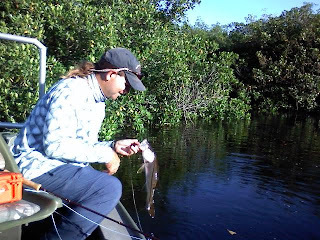 They were hitting most everything including small baitfish flies, White Bait, and Jigs. The fly fishing was better in the late afternoon and into the night for both Snook and Tarpon. Morning fishing was good but you needed to be there early, which is typical summer fishing. The nice thing about morning though, less bugs and we fished to more large floaters and Tarpon in the Back Country. 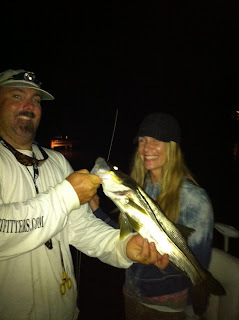 One morning especially, we landed two 32 and 35 inch Snook and jumped 7 Tarpon up to 40 pounds landing one all on Rz’s Tarpon Muddler in Yellow and Grey. Bait fishing has been excellent also, fishing a Hamilton Harbor BCS Charity Tourney last week my anglers D.J. and Tom from North Ft. Myers were able to Card out with Two Snook and Two Redfish and win by a very slim margin over 2nd place finisher Todd Geroy and third Place Mike Rucker. The Tourney was a lot of fun and a great group of guys and gals fished it. We were lucky to win, the second Redfish was the deciding factor. 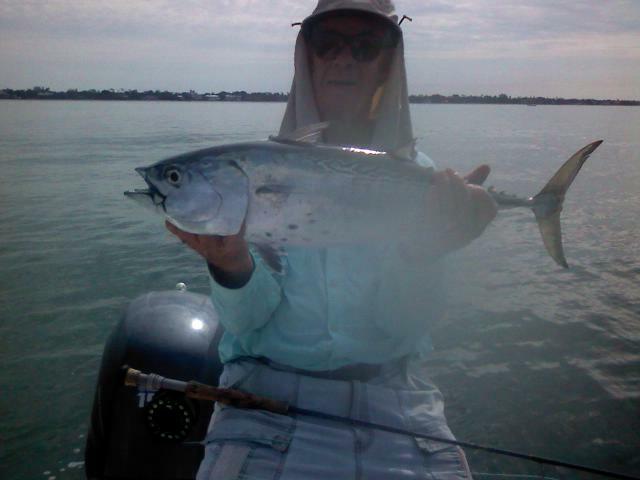 Red fishing in the Naples and Marco waters has been very difficult. We caught ours under the Docks along the Gordon River. The offshore fishing has been hard to beat the last month. Great Snapper fishing both inshore and offshore has been awesome. 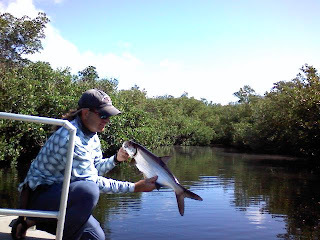 Large mangroves and if you get out far enough they are catching some Muttons and Red Snapper. 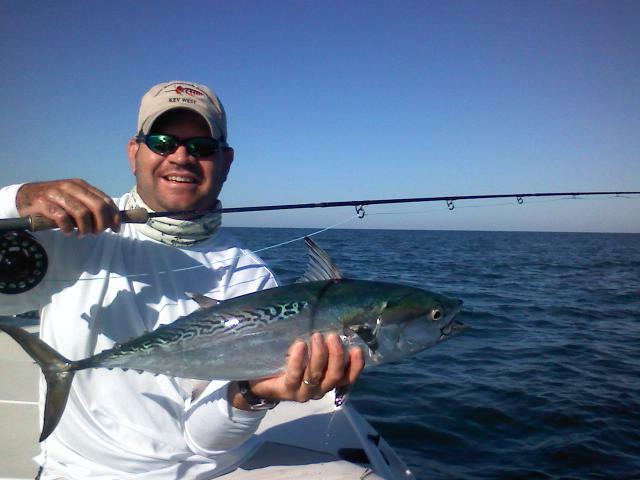 Also out there are scattered Kingfish, Sailfish, Black fin Tuna, and Cobia. Oh yeah and the Spanish Macks are everywhere off the beaches. I think this has been one of the best July’s I have ever seen. What will happen in August? It looks pretty good. I do not see anything on the horizon to change things. Bait is still plentiful and the fish do not seem to be acting in a strange manner. I would expect a little increase in temps and hopefully a slow tropical season will keep us in business. It will depend on the Rain if it is heavier than usual then it will be slower fishing if it is steady then the fishing will be good. If it is less than normal the fishing will be difficult. Low rainfall and high temps will make thing a little tough, so lets hope for nice steady afternoon rains that keep the temps down in our waters. Our fish this time of the year need that influx of freshwater it is very important to them and there young one’s. Offshore fishing should continue strong although I would expect the snapper fishing to slow a bit but other things should pick up. Small Tarpon fishing in the creeks should be good especially if we are getting steady rain. Big Tarpon will be non factor this month but should be back strong in the middle of next month. The most important thing is to get out and fish. Have Fun and please catch and release the Snook carefully.